Library books and dvd gotten, order for others placed – I joined a new library today. Pens, oranges and coffee bought. I was rather chuffed to see Whittards was still in the centre of Leeds (a favourite of mine back in the 20th century) but somewhat perplexed by their descriptions of coffee beans – lemon and cacao, or blueberry heaven with a cherry on top and so on. So often I don’t know whether I’m in a baker’s, Lush or a cafe! The person behind the counter spoke quickly in a whispering voice – not helpful with the din of a grinding machine in the background. He looked at me in that what do you know about coffee way. I looked at him in that how come you don’t know your Brazilian from your Continental. Show me the beans I said. I need to see them and smell them. Mirko sat, staring through the trees, willing for the answer to come to him from the leaves in the wind. Nothing made sense, nobody was saying what was really on their mind. He sighed. He breathed in deeply and held his breath til his body shook. Still nothing came to him. One more coffee, he thought to himself, that will work. A butterfly made a delicate flighty dance towards him as he was about to get up. He changed his mind and stayed where he was to watch it. It was a beautiful yellow with beige and black spots, not too small or too large -just right. Mirko stretched out his arm and the butterfly obliged. 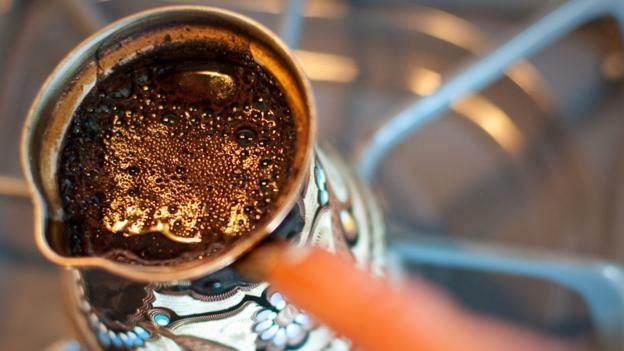 He mixed a sugar cube into his small glass of water and poured a drop in to the saucer of his Turkish coffee cup. The butterfly walked down Mirko’s arm and perched on the end of his finger which sat in the sugary water. A delicate proboscis reached out trustingly. Once it had finished it, the butterfly made its way back up Mirko’s arm and settled on his shoulder. It made him smile. He got up and stepped in to his compact kitchenette and reached for the coffee pot. There was enough left for one more. He poured the dark rich treacle in to his small cup and slipped in a sugar cube, stirring gently with a small silver spoon. Mirko looked at his shoulder, the butterfly had gone. He shrugged. The phone rang in the flat. Maybe that was her. Perhaps she had an answer. He stepped in to his living room and answered the call. He listened to the words, quietly spoken, serious and without hope. It was over, she said. It was as he suspected, another man. He put the phone down and went back to the balcony , collecting his cigarettes on the way. As he sat down on his chair in the corner, he noticed something in his coffee. At first he thought the butterfly had fallen in. But no. 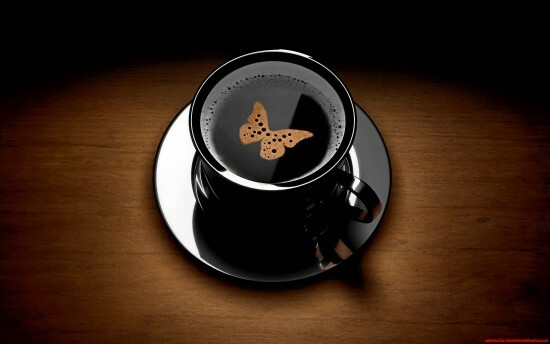 Instead it had left an imprint of its image on the surface of the dark coffee, a kind of thank you, a note of friendship. Mirko nodded to himself, appreciating the symbol, the gesture, and wondering how it was that animals could be so thoughtful and appreciative, and humans not. He sighed and took a sip, staring back out across the trees.